On behalf of the Hong Kong Special Administrative Region Government, the Secretary for Transport and Housing, Mr Frank Chan Fan, signed an agreement with the representatives of the University of Hong Kong (HKU) and Shanghai Maritime University (SMU) today (August 14) regarding the University of Hong Kong - Shanghai Maritime University Academic Collaboration Scheme. Mr Chan noted that the Scheme is an important milestone in nurturing maritime talents for Hong Kong and Shanghai. 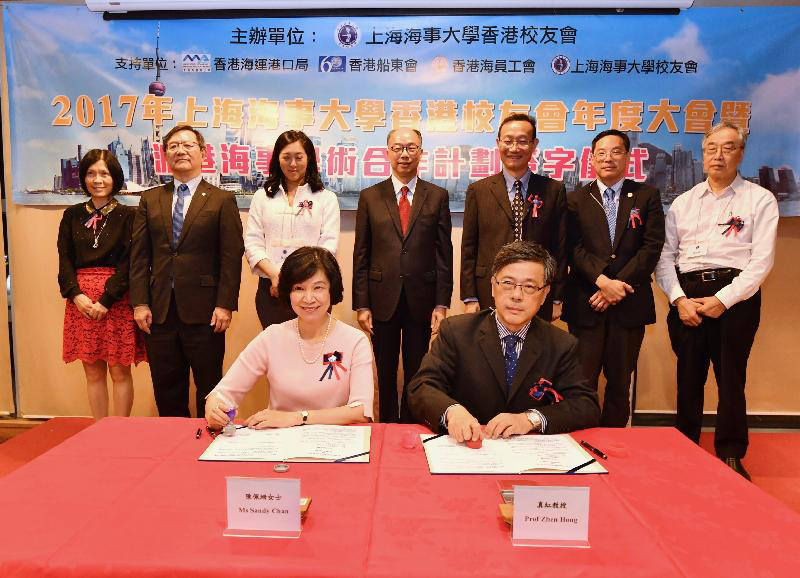 Through the collaboration of two universities in training maritime legal and business professionals, the Scheme lays a sound foundation for promoting the sustainable development of the maritime industry. The Scheme, sponsored by the Maritime and Aviation Training Fund (MATF) of the Transport and Housing Bureau for the purpose of nurturing professionals in maritime law, will help build up a local maritime talent pool. The Scheme will commence in the 2017/18 academic year. Selected graduates of the School of Law of SMU will be awarded scholarships to undertake the one-year Master of Common Law programme at HKU. They will be required to work in the maritime industry in Hong Kong for at least one year upon completion of the programme. The Government launched the $100 million MATF in 2014 to nurture more talents for the maritime and aviation industries through various scholarships and award schemes, so as to attract young people to join the two sectors. Since inception, over 1 900 students and maritime in-service practitioners have benefited. 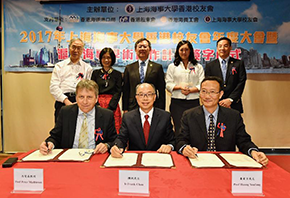 Details about the MATF and the HKU-SMU Academic Collaboration Scheme are available at www.matf.gov.hk. 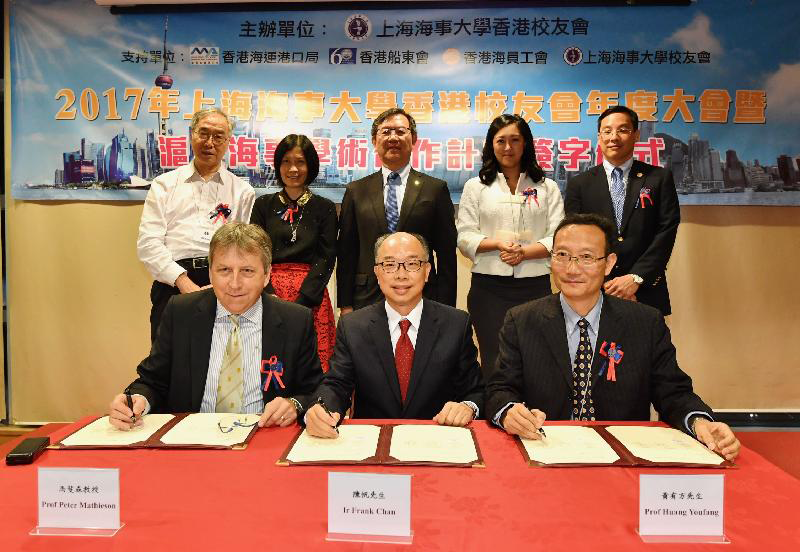 On the same occasion, Mr Chan also witnessed the signing of the Memorandum of Understanding between the Hong Kong Shipowners Association and the Shanghai International Shipping Institute for the establishment of the Shanghai-Hong Kong International Maritime Research Centre, which aims at promoting collaboration in maritime-related research and exchange, so as to enhance the maritime development of both places.